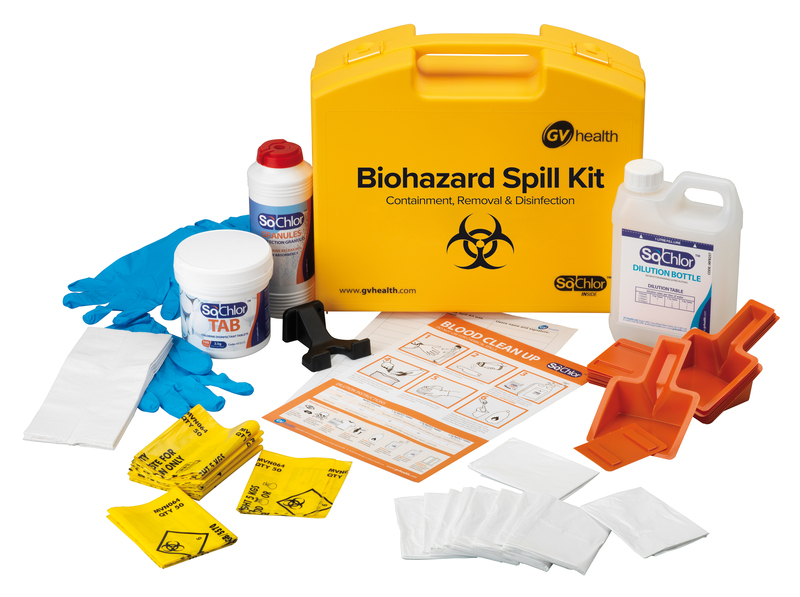 GV Health Midi Biohazard Spill Kit (up to 10 Spills). For safe clean up and disinfection of blood spillages. The Midi Spill Kit is intended for use in larger rooms and areas and where biohazard spillages occur more regularly. It contains PPE, SoChlor Absorbent NaDCC Granules and SoChlor Chlorine Tablets for up to 10 spillages. SoChlor chorine granules absorbs spill, kills pathogens on contact and reduces cross contamination risk.